Here we go!! The Madness is about to begin for your Minnesota Golden Gophers. As always, we are using your tweets, as they happen, to tell the game recap. Y’all are more interesting than the standard recap anywhoo. We got a ways to go to hit that number. Yikes. Gophers 2-run HR (i.e. Hollins’s FTs) the difference in this one early. No flow for either team. UCLA’s Drew travels a sloppy foul from super-senior Trevor Mbakwe. Gophers have shown that, in games where the offense clicks, Rodney and Mbakwe get going early. Both teams are a combined 0-18 to start. Not. Good. The zebras in tonight’s game were not close to good. 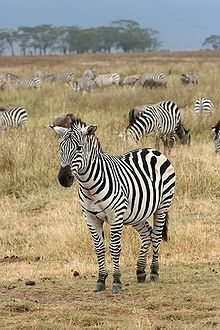 We probably would have done better with actual zebras refereeing the game. No joke. UCLA already in the bonus!?!? Check that, double bonus. Hold on, triple bonus. Oh man, these refs are out of control. If the refs are going to call this like a UCLA Alumni Choir pick-up game, this bruising Big 10 squad is in trouble. Plus, and maybe most importantly, Gophers cannot win a race at the charity stripe. Love the old school reference. Wish it was not true though. This game is so disjointed. Neither team can get into a flow with all the whistles. Both teams are already in the bonus. Again, race at the charity stripe is not a race the Gophers want to be involved in. Gophers shoot 68% from the stripe. UCLA clocks in at nearly 73%. Great run from the big fella, Mo Walker. His 4 points off the bench currently account for a 1/3 of the team’s total. What is so infuriating about big Mo is that, if he lost 15 to 20 lbs, he could be a dominant big. Instead, all he has are moments or flashes of good plays. It is never sustained. Okay, now I am worried…Mbakwe just air balled the front end of a 1 and 1. Really. Not. Good. E Squared’s relationship with Dre could prove a promising one for Gophers’ fans. Particularly if E Squared improves on the defensive end. Make it six Andrew!! E Squared cans a 20 footer off an Mbakwe double team and then lays in a pretty shot off a strong cut to the rim. The guy has been instant energy all season. He does have his deficiencies on the defensive end, but on offense he is solid. If he can continue to improve on the defensive end. He actually might be able to replace Mbakwe next year down low. He does not have Mbkawe’s grittiness in the post, but he can definitely be a contributor on that end of the floor. We have our first Amelia sighting!! Welcome back to the Tweetbag Amelia. Though, what is up with the negativity. I mean, sure, the Gophers are shooting their highest percentage of the year. But, that does not means they are going to start missi…nevermind. You are right. Preparing myself for the worst. Mbakwe shows a little versatility with a 15 foot jumper. Then, in true Gophers form, he misses another front end of a 1 and 1. Normally a very solid shooter at the stripe, he has now left 4 points there in the first half. Gophers need to tighten up the way the officials are calling this game. Also, need to buck the trend and start earning their scholarship at the stripe. Amelia?? Is that you?? Are you ghost tweeting as @redma032?? In true Gophers fan fashion, no one is comfortable. No one knows how to react. In fact, I think if the score were flipped, Gophers fans would feel far more comfortable. It is not like you can blame us. We have watched the tale of two teams act all season. The one blessing from this game is that at least the good half came first. This means the Gophers have a better chance of hanging on down the stretch. 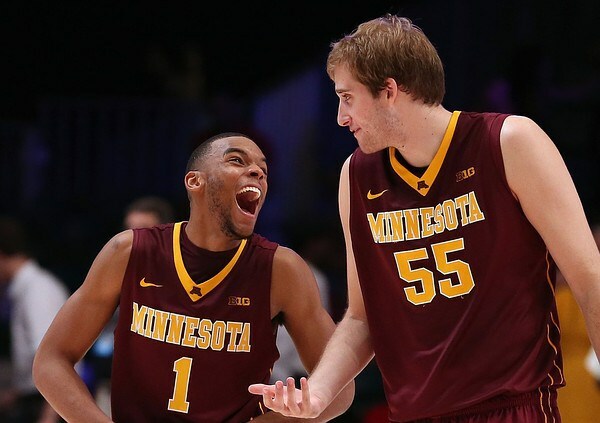 Gophers need to continue feeding the bigs. Mbakwe, Eliason, and Walker accounted for 19 of the Gophers 35 points. We clearly have an advantage there. Plus, considering UCLA’s foul trouble, every shot should go right at the rim. I appreciate the EMPHASIS Tim. Rodney flexes the potential by hammering home an offensive rebound. Gophers are pounding the rim and are relentless on the glass on both ends. Need to keep that up. For Gophers fans who wanted to see Coach Saunders leading the maroon and gold, this performance against the Bruins may have assured Tubby’s continued reign. 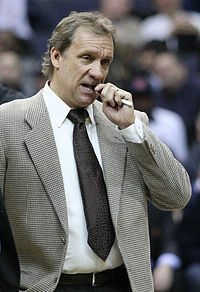 Coach Saunders…errrrr…I mean, Flip!! Spot on analysis. Changing defenses are causing this young Bruins squad headaches. Though, Gophers need to be careful. UCLA still has not made a run. One is coming. Burying em would be very nice. And now is the time. Ouch. Is that handle sarcastic? I mean, I agree with you, but ouch. Okay, I could not resist. I feel a little bad piling on Oto, but it really was a great play. Slid in front of David Wear and took a charge. But, these tewible refs decided to call a block. I thought these refs were supposed to be elite. Fantastic might be an understatement. Dre just canned his 5th 3 PT of the night. He has 24 total and has abused all UCLA defenders who have tried to keep up with him. His performance tonight is looking a little like the run he put together in the NIT last year. If he can get on that kind of run, this Gophers team can be very dangerous. Love the Sir Charles reference. This one is over. Gophers are up by 20+ and continue to attack. Not even the Tubby-led Gophers could find a way to lose this one. If Dre plays even in the ball park of how he played today, Florida is going to have its hands full on Sunday. We will be running a Tweetbag for that game too. Enjoy the Madness. This entry was posted in Badgers v. Gophers, Home and tagged Andre Hollins, Austin Hollins, B1G, Big 10, Bruins, Dre Hollins, E Squared, Elliott Eliason, Golden Gophers, Gophers, Gophers Bruins, Madness Gophers, March Madness, Mbakwe, Minnesota Golden Gophers, Minnesota Gophers, Mo Walker, Rodney Williams, Trevor Mbakwe, Tubby Smith, Tweetbag, UCLA Bruins. Bookmark the permalink.